I want to start off by apologizing for my lack of posting in the last week or so. I have had two finals, and a cold to get over, so I apologize. Thanks for you guys for sticking around! Now back to the blogging!!! 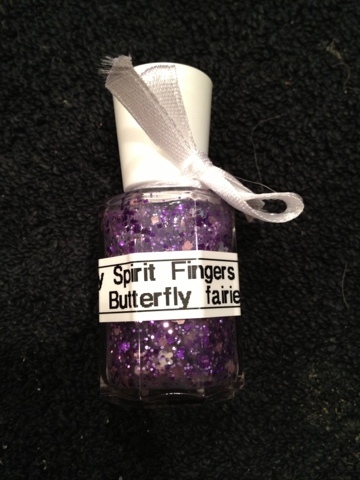 This is Butterfly Fairies by the wonderful My Spirit Fingers! Do you see how amazing this is?? 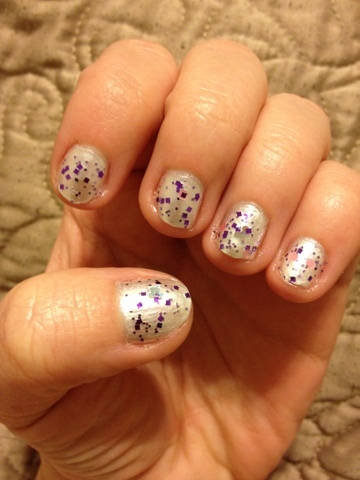 It's purple base, with purple glitters of different shades and silver butterflies! 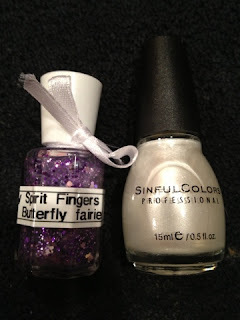 To make my mani, which I freaking love, I paired Butterfly fairies with Sinful Colors Tokyo Pearl as the base. 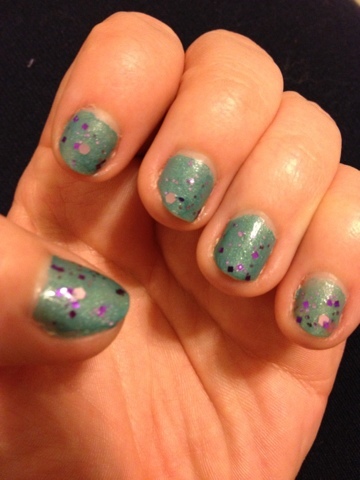 I think it accentuated the purple really nicely, and gave you a clear idea of the dispersal of the glitters as well. Do you like these pairings? This store is off of her facebook page, so obviously go and like her page first! Then you can grab a bottle of her amazing nail polish, at only 8.50 a pop!